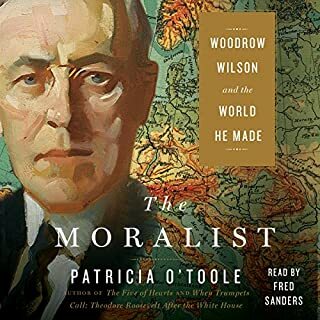 I marveled at the enormity of the research brought to bear in writing this remarkable, multi-layered biography of Woodrow Wilson. Ms. O’Toole has left no stone unturned, utilizing intriguing and intimate insights from personal diaries and private letters. We are provided with profound analyses of the root causes of World War I, and the dismal failures of post-war diplomacy. The author is clearly sympathetic to Wilson’s “progressive” domestic policies but does not hesitate to define Wilson’s failings in foreign affairs. Listening to this book on Audible enabled me to survive the challenges of driving in Los Angeles. This is a book that should not be missed.